Shake up some south of the border flair! 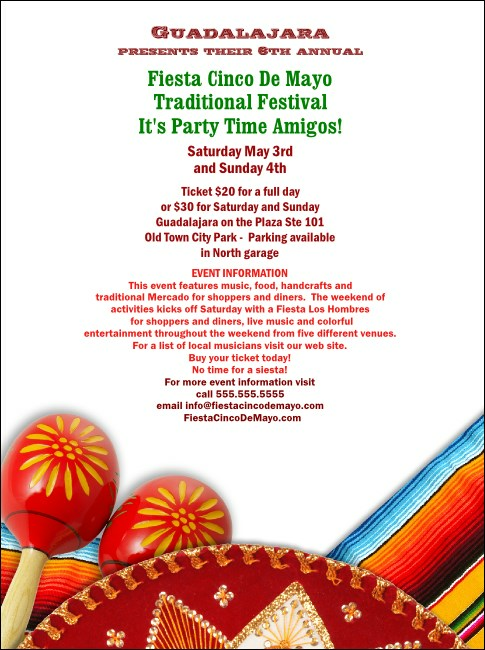 Clean, colorful Fiesta Flyer features the image of maracas, sombrero, and serape against a fresh, white background. The rhythm of the mariachi music, the aroma of spicy food , and these vibrant Flyer templates lead the way to the party of the year! Make some noise with the right Flyer from TicketPrinting.com.